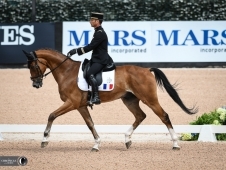 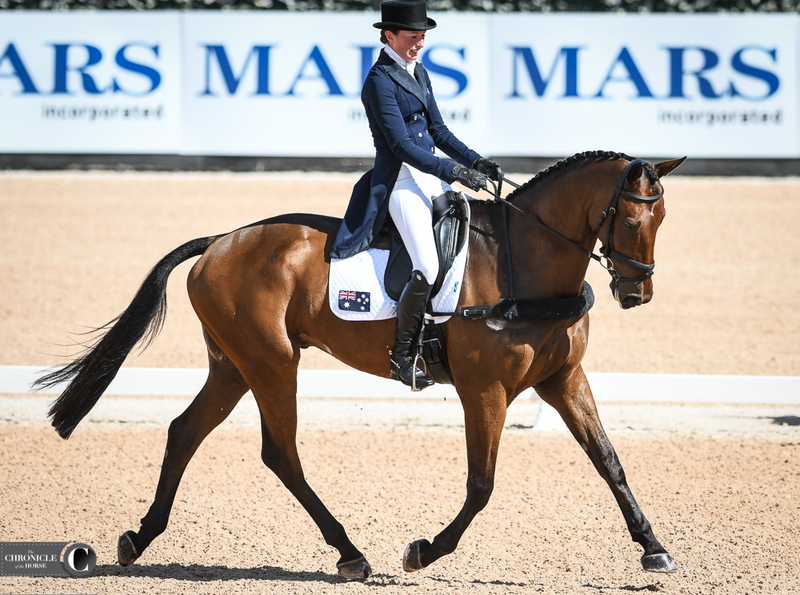 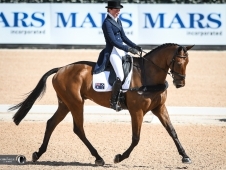 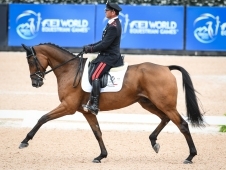 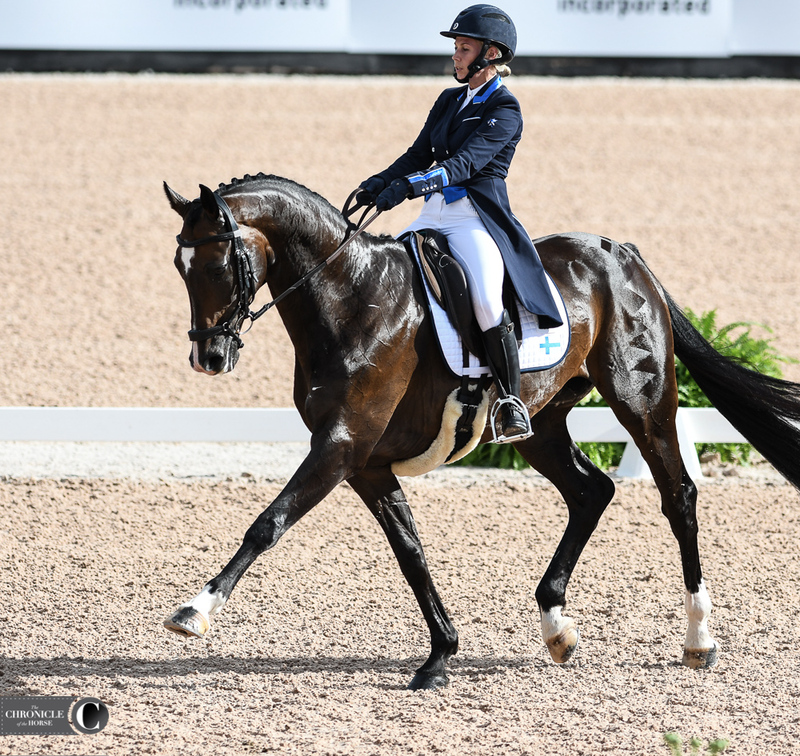 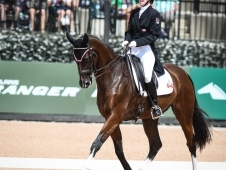 No one could catch Germany’s Julia Krajewski today in the dressage at the Mars, Incorporated World Eventing Championship at the FEI World Equestrian Games, but her teammate Ingrid Klimke came close. 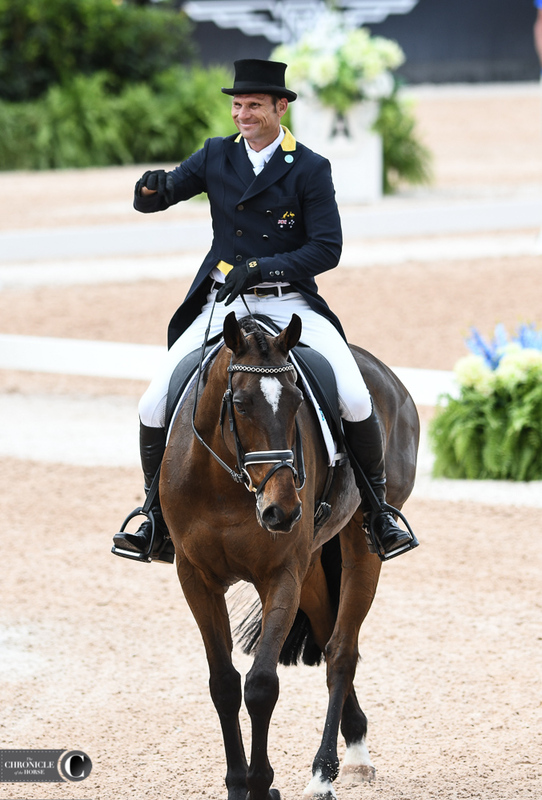 Klimke scored a 23.3 on SAP Hale Bob OLD to lie just behind Krajewski on 19.9. 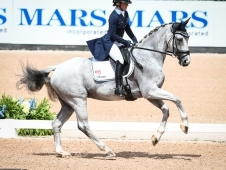 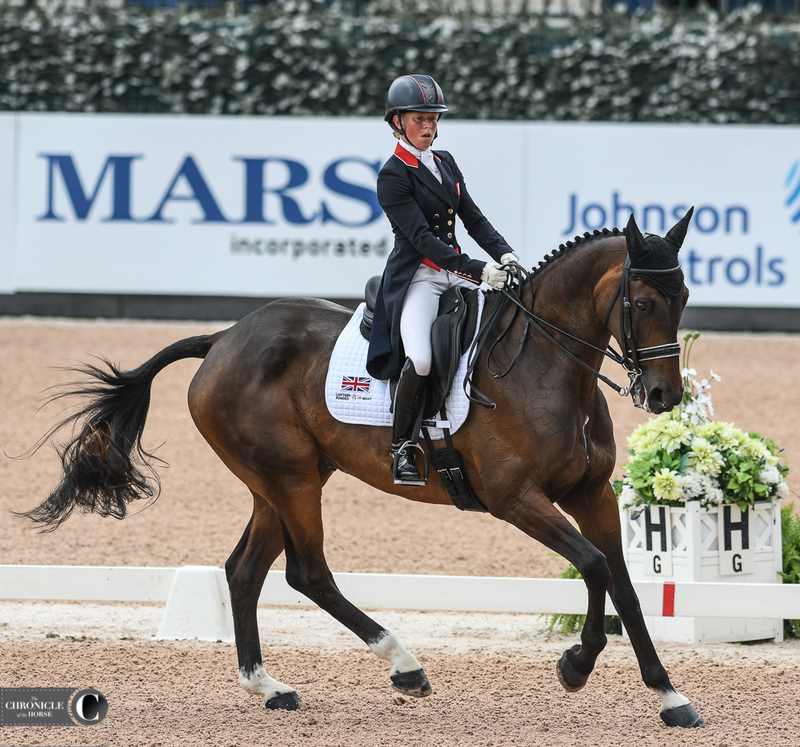 Great Britain’s Ros Canter is in third on Allstar B with 24.6. 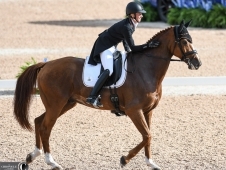 Klimke’s score helped keep Germany in solid gold medal position going into tomorrow’s cross-country, while Great Britain is in silver and the United States in bronze. 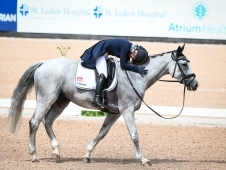 Ingrid Klimke and SAP Hale Bob OLD. 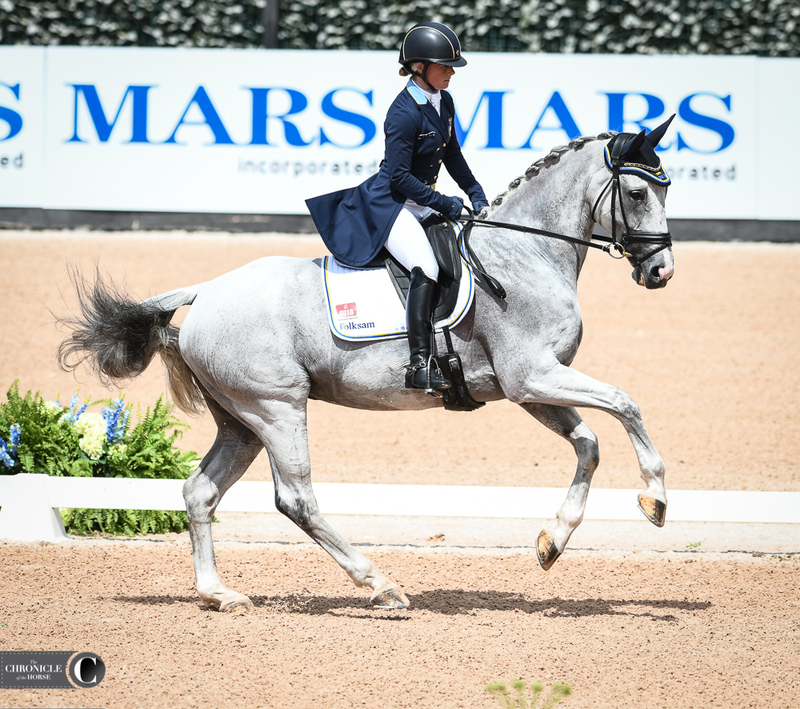 Photo by Lindsay Berreth. 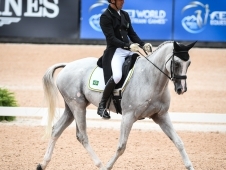 Klimke said the German team feels prepared after a hot summer in Germany. 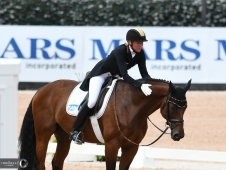 Ros Canter and Allstar B. 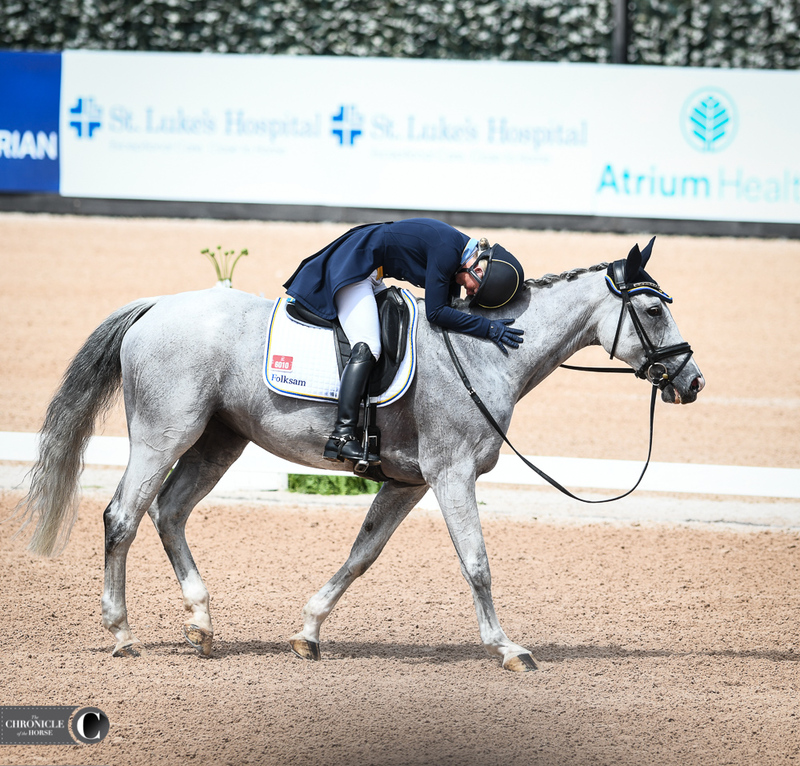 Photo by Lindsay Berreth. 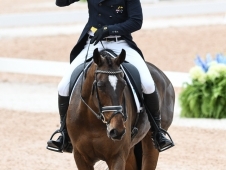 Canter was over the moon with Allstar B. 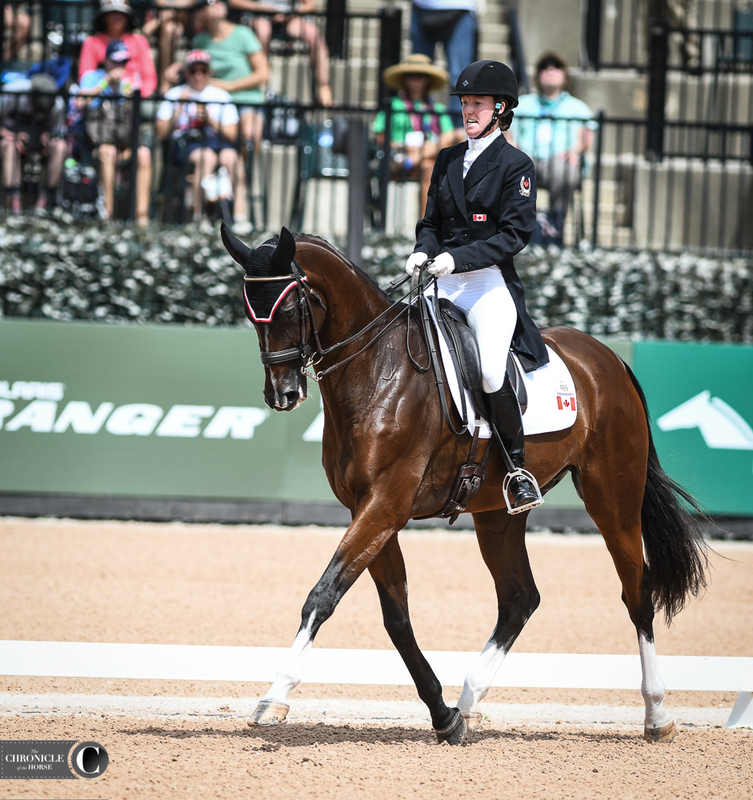 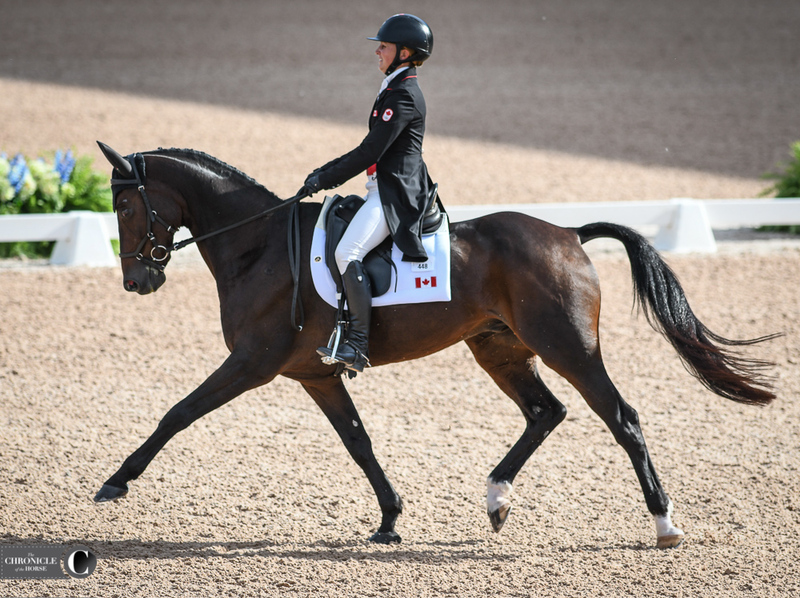 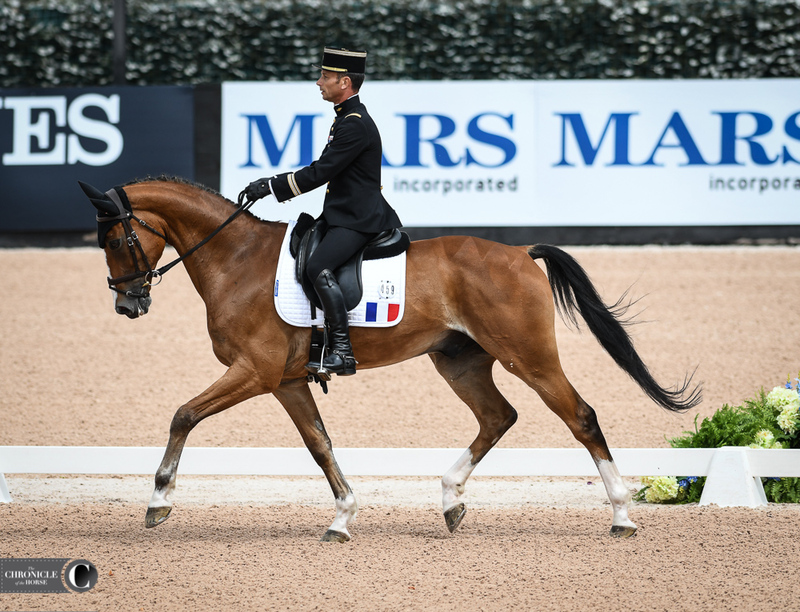 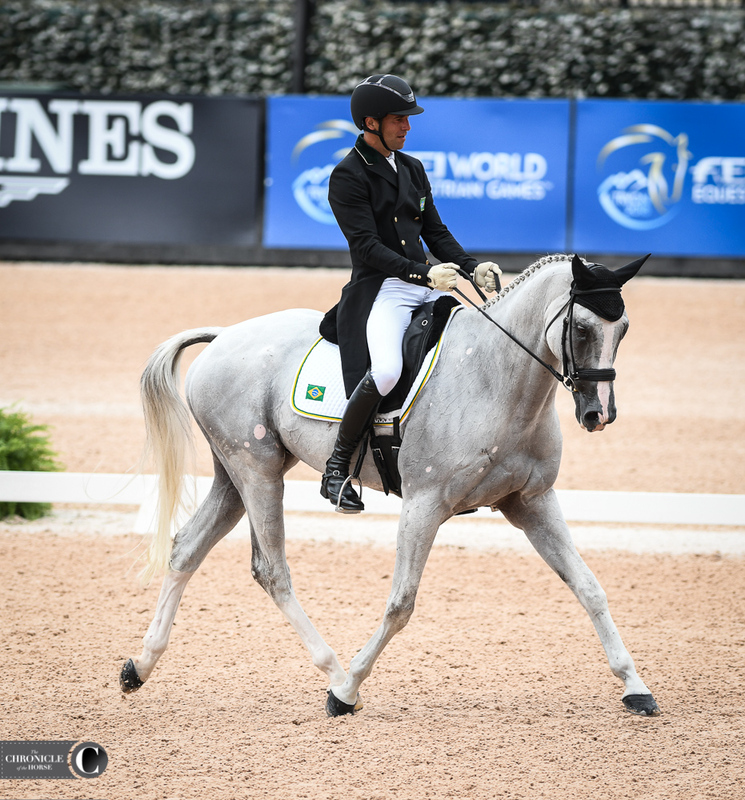 This is her first WEG appearance, and she’s a favorite for an individual medal. 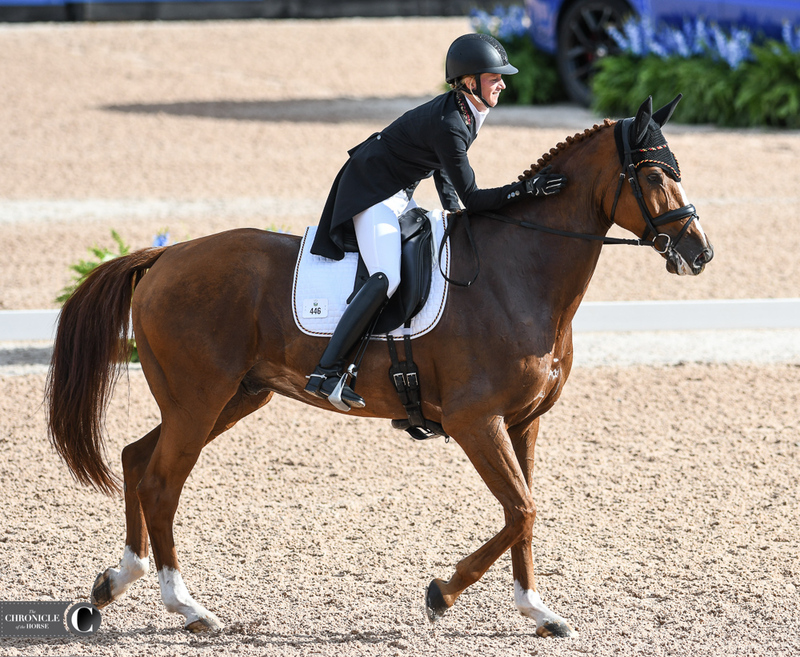 Phillip Dutton and Lynn Symansky completed their tests today to help the U.S. team hold a strong position heading into cross-country. 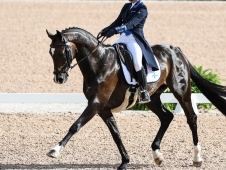 Dutton and Z scored a 27.6 for 12th place. 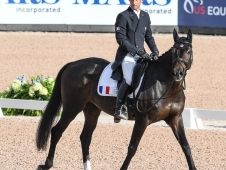 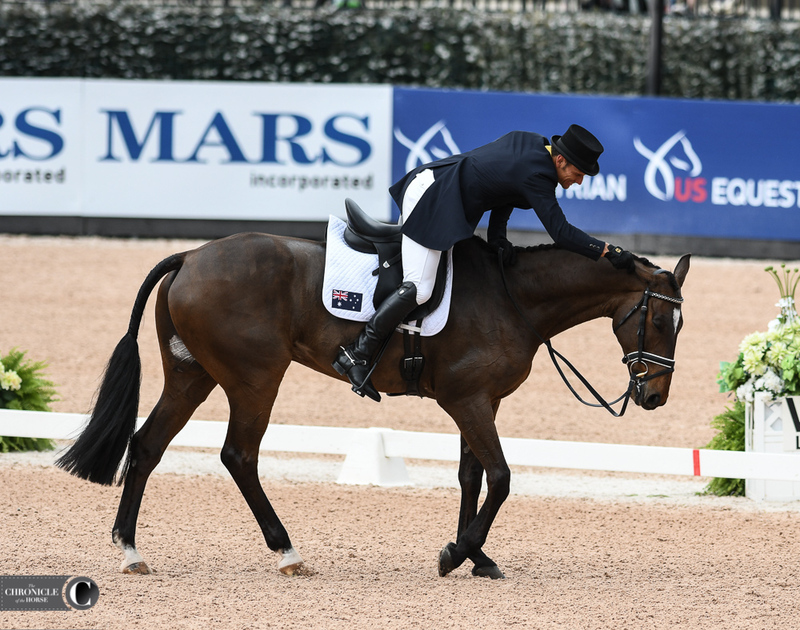 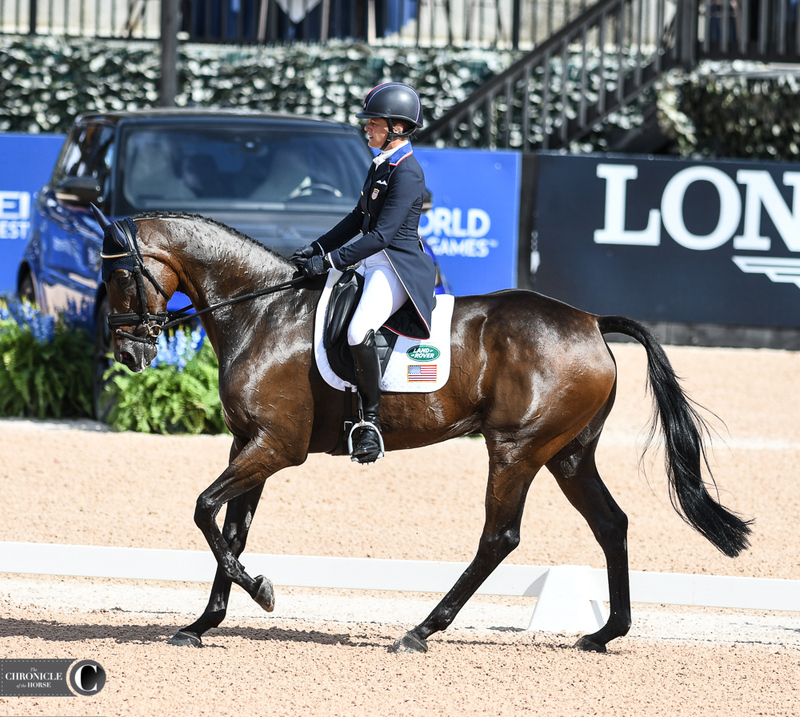 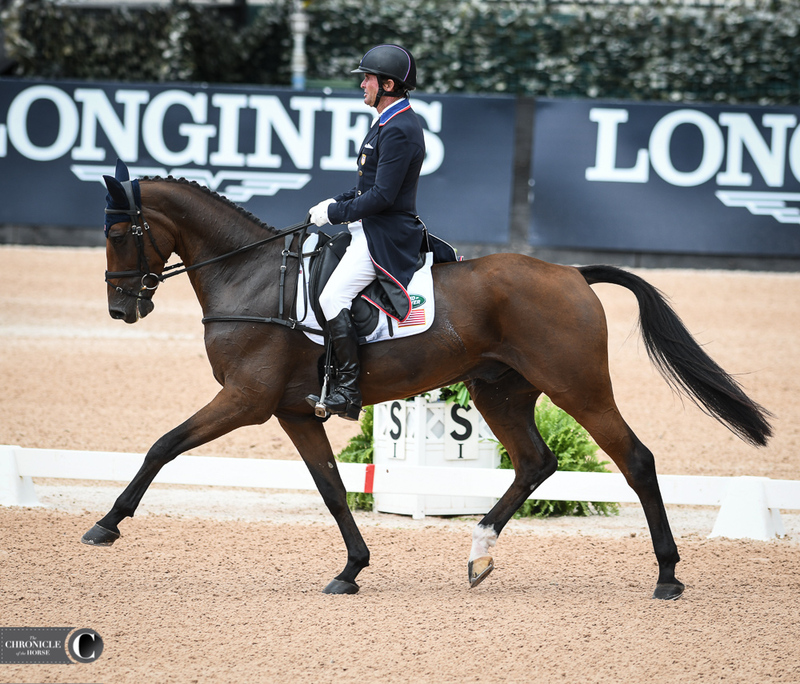 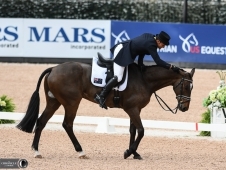 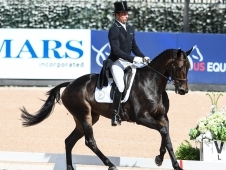 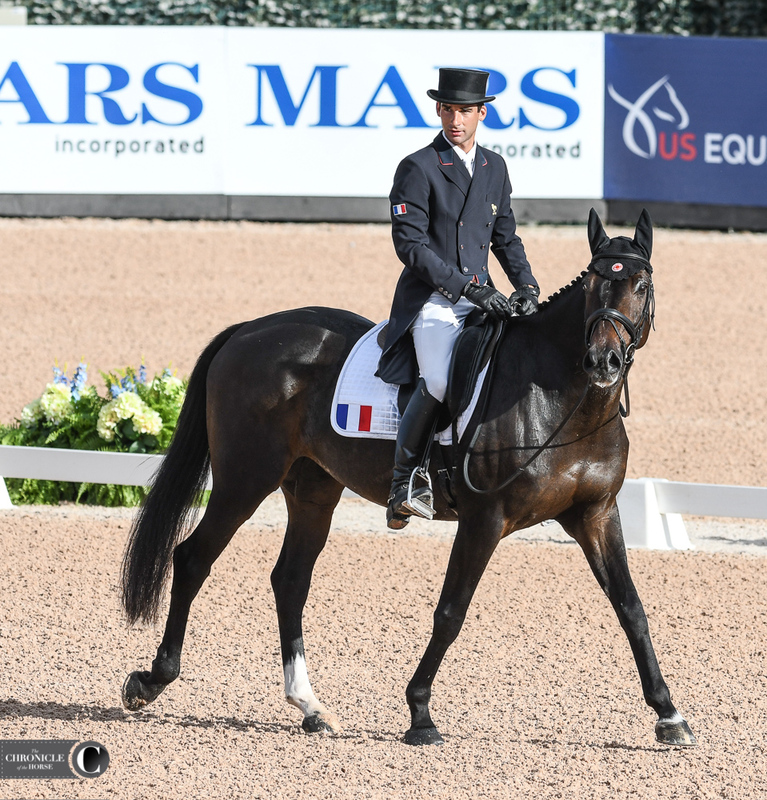 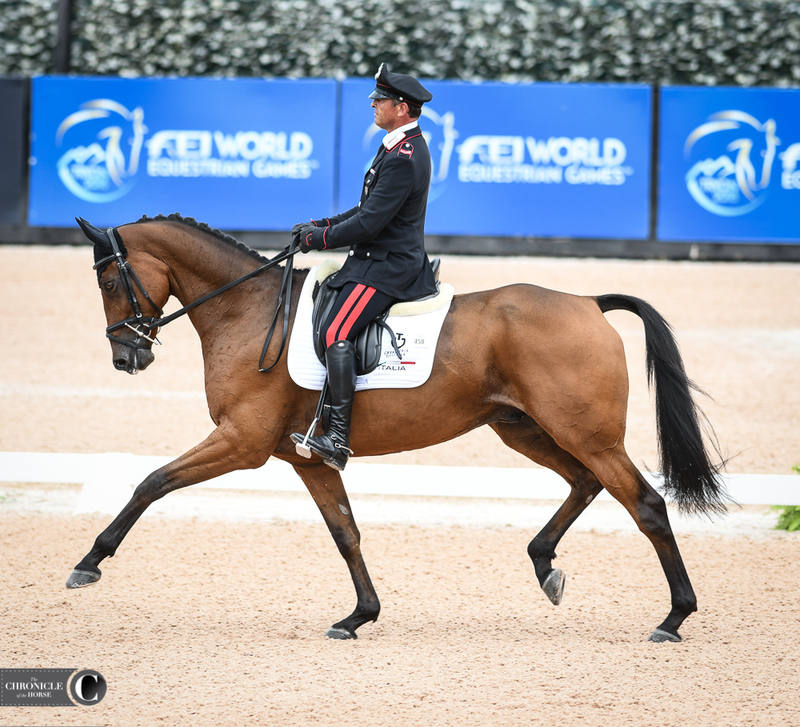 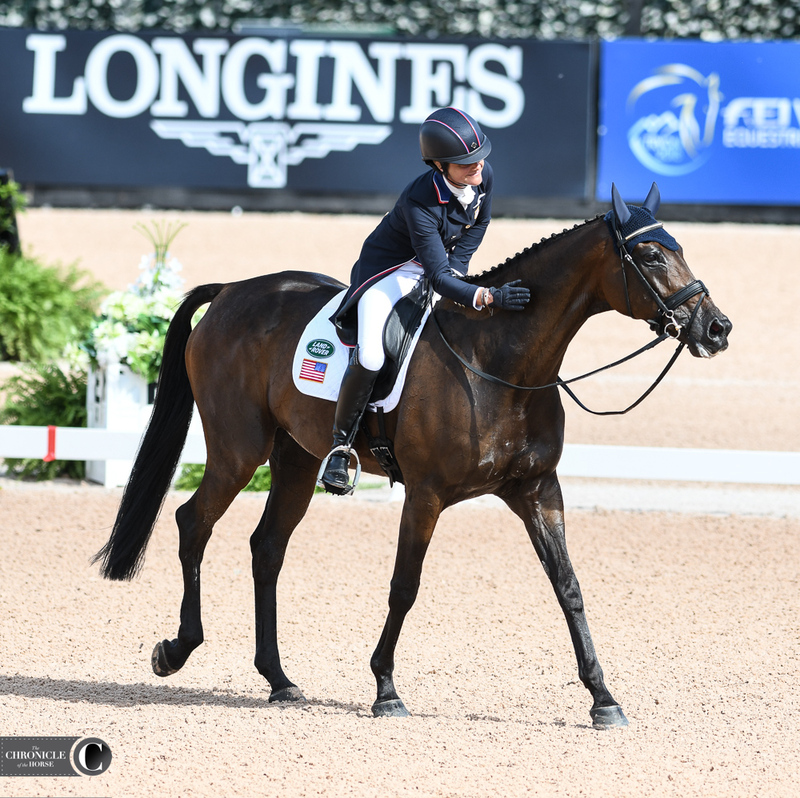 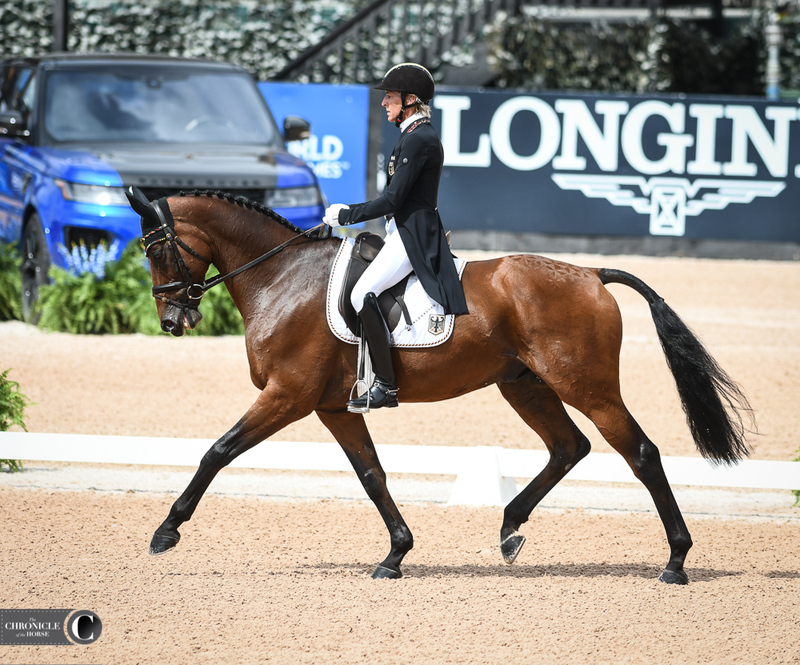 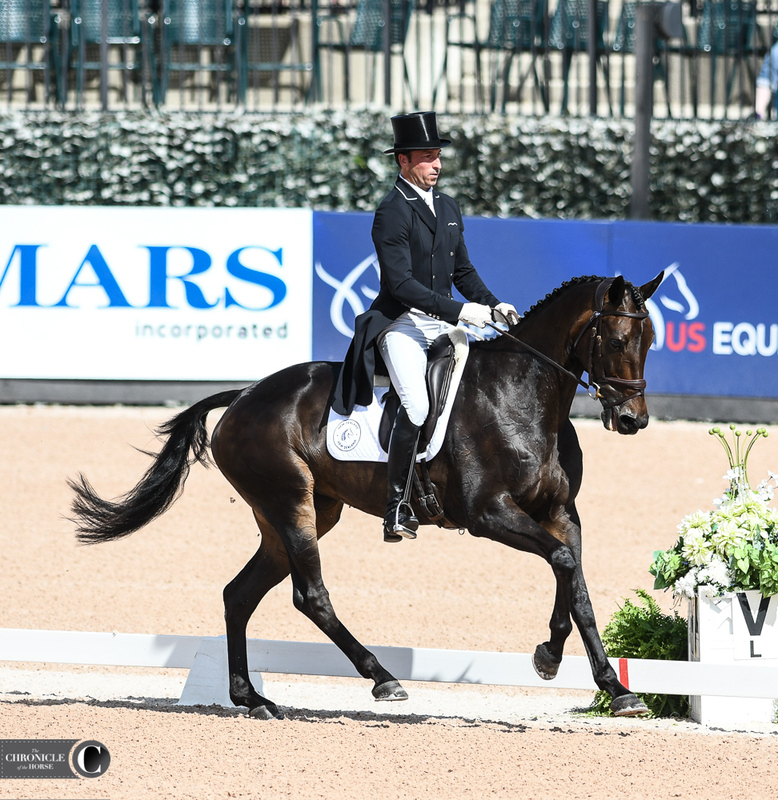 Dutton’s an experienced anchor rider for the U.S. team, and while Z is inexperienced at the level, he’s ready for the challenge of Mark Phillips’ cross-country course, which will run at full length. 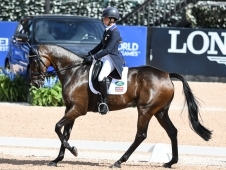 Olympic qualification is on the line for the U.S. team, which needs to finish sixth or better.